Homeopathy is an alternative medicinal practice based on the idea that substances that produce symptoms analogous to a disease should be used to treat the disease. It is a natural, holistic approach to healing. The practice was developed in Germany by Samuel Hahnemann in the 1820s. Another prominent characteristic of homeopathy is the belief that the less potent a substance, the greater efficacy it will have. Therefore, homeopathic remedies are developed through a subtractive process that distills a substance down to its barest essence. To this day, homeopathy remains highly divisive within the medical industry, mainly because it opposes the conventions of Western medicine, which stipulate that the greater the dosage, the more potent the remedy. While there are recorded instances in which homeopathic practice has resulted in improvement of patients’ symptoms, homeopathy has been shown to be ineffective in studies conducted within the industry. Despite its many detractors, homeopathy does have many adherents in the United States as it experienced a revival in the 1970s and it is popular worldwide as well. Homeopathy attributes diseases to the presence of miasms, or the root cause that produces a given disease. While there were originally three identified miasms, the total has since expanded. In order to combat the miasms, a remedy is developed through consideration of both the disease and the patient’s medical history. Because the medication so individualized, it is quite common for two people to receive different medications even when their symptoms and disease are the same. The remedy is continually diluted until it has reached its smallest possible dosage, and homeopathic remedies have been recorded in which there is not even an active ingredient. Moreover, the remedies typically draw from a number of different areas, including dangerous plants such as poison ivy. The remedy is not believed to cure the malady by itself, but is instead said to activate the body’s own self-healing mechanisms. It is believed that after taking a homeopathic remedy, a patient’s symptoms may temporarily get worse before they improve, and the low dosage is also a factor contributing to why it is not considered a particularly dangerous medicinal approach, even if it is not well-regarded within the industry. 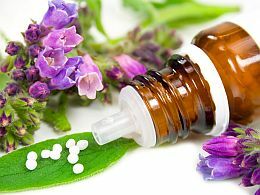 Homeopathy can be used by anyone (indeed, one of the chief benefit is that it is individualized to the specifications of the patient) and the practice is used to treat maladies in myriad areas. It is considered safe if a correct remedy is selected. Short-lived symptom aggravations may occur, but often pass very quickly. Symptom aggravation is actually a sign of improvement, and that correct homeopathic remedy has been selected, according to homeopaths. In addition to curing disease, adherents of homeopathy consider one of the benefits to be that the practice eschews modern pharmacological practice, and instead utilizes predominantly all-natural ingredients. Since homeopathy is a natural healing therapy, it can be used by pregnant and nursing women, as well as children and infants. Homeopathy doesn’t interfere with medications, and can be used for chronic and acute health conditions. Also, it is a holistic therapy and treats the whole person – body, emotions, mind and spirit – and not only the symptoms.